This style accidentally came to be during a product testing. I had had my hair finger-coiled professionally in the past but never by myself. I love it! I don't know why I never tried it before now. I think it is going to be a regular style. It kind if reminds me of WnG without the breakage from single strand knots. 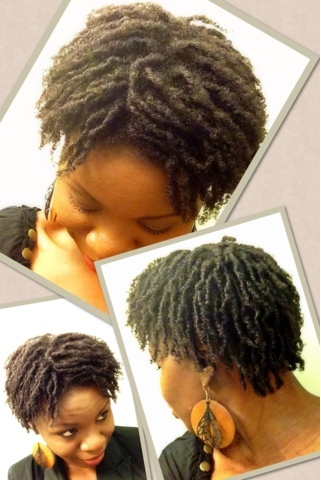 I did them kind of loose by not using gel because I wanted the loose coils. Each section finger-coiled is stretched, so there is no room for single strand knots. My hair was deep conditioned and well moisturized before styling it. So I will not be moisturizing daily. If I feel any dryness, I plan on using some moisture milk on the ends, with patting motions, so as not to disturb my curls. I have not figured out a night time routine yet for this style but will post an update when I do. looks great Ms Tinuke! take care.